This image gallery provides photos of carnivorous plants shown in their natural habitats. The photos are arranged by genus and by geographic region. Each image is accompanied by a brief caption including genus, species, and location. 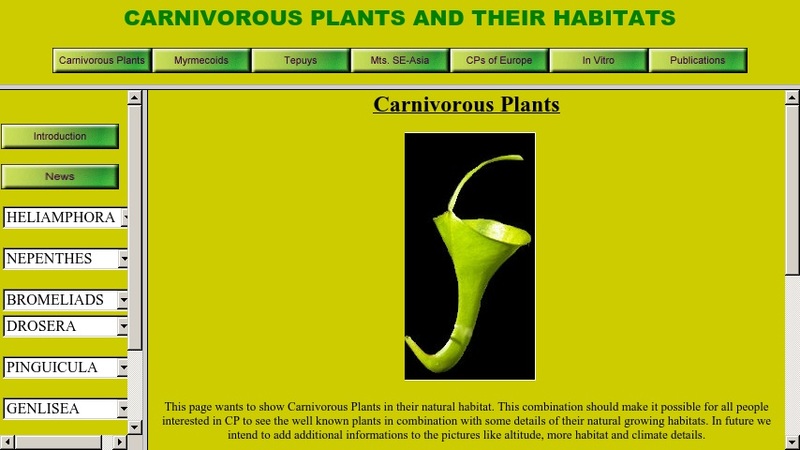 There is also a specialized gallery featuring carnivorous plants of Europe, a discussion on how to cultivate these plants in vitro, and a brief bibliography of publications on carnivorous plants by the site's creator, Dr. Joachim Nerz.